Leading products , best quality with best price. - smooth surface finish and easy installation among others. we aamphaa interiors provide you a huge collection of bedroom cot panels. bedroom is the place where we rest and dream so we have to keep it in an attractive manner. we also provide you a unique designs and we will do in an elegant manner with best price. We are offering WPC Wall Panels to our clients. 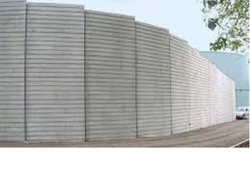 this is one of most elegant wall cladding and budgetary. It is cheaper than painting the wall when cost taken over 15 years of g life. No fungus formation. stays new always. •wood, in chips is crushed, ground or powdered to make charcoal lamination. We are proficient name in the industry involved in offering optimum quality of Stylish Wall Paneling. We have carved a niche amongst the most dominant names in this domain, instrumental in providing excellent quality range of Wall Panel.